ABE and Pru team up with Mr. Fox and Ratatosk, the insult squirrel, for a new adventure among the gods and lands of Norse mythology as they race to stop the chain of events foretold to lead to Ragnarok--the war that ends the world. 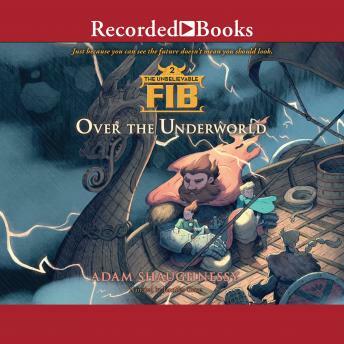 It's been a year since friends ABE and Pru joined Mister Fox's Fantasy Investigation Bureau--otherwise known as the Unbelievable FIB--to save their hometown from an invasion of Viking gods and giants. Life has been incredibly ordinary ever since. But that's all about to change when the Norse Allfather, Odin, appears with terrible news: Baldur, his favorite son, has been murdered. It's the first step in a fated chain of events that leads to Ragnarok--the end of the world. Fans of Thor, Rick Riordan's Magnus Chase, and classic Norse myths will cheer as ABE and Pru outrun trolls, explore Asgard and the Viking underworld, and try to outsmart the Queen of the Dead herself to change fate, save the world--and survive seventh grade.